Belgrade, July 04, 2017 – AIK Bank with the support of its partner company NF Innova introduced new e/mBanking Omni-channel platform for digital banking. For AIK Bank users this way has enabled the smooth conduct banking operations, whether using a computer, tablet, mobile phone or all three mobile devices. AIK Bank is the first domestic bank to have taken seriously the importance of consistent and constant communication with its customers. The introduction of a new platform for digital banking, enabled banks customers with enhanced applications for electronic and mobile banking security with maximum returns. The application is user friendly with its unique design and seamless build in functionalities. The new platform includes new applications for mobile banking for iOS and Android operating systems, as well as a new application for electronic banking. Emphasis is on KešKlik functionality, the transfer of money using SMS where recipients does not have to be clients of the bank. Additional functionality provided by AIK Bank are video call and chat, as well as the “My Finance” feature, which gives customers the ability to track monthly spending and manage their personal budget. In this way, AIK Bank is at the service of its customers. There are also other functionalities for unauthorized users such as ATMs and branches locator, review of exchange rates and online chat and video call from the Bank Contact Centre. “Existing or potential customers can now via online chat or video calls receive information about new and existing products and services, schedule appointments with a banks advisor, receive and send necessary documentation, etc. KešKlik allows the transfer of funds between individuals by SMS code where recipient of funds can enter the code at any ATM AIK Bank and withdraw money” Bojan Pavlovic, Director of AIK Bank’s direct channels. The banking sector is undergoing transformation in which traditional banking offered through a network of branches replaced with mobile access. 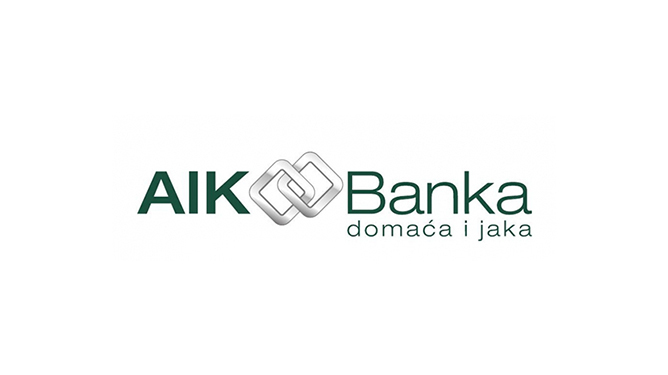 The new Omni-channel platform at AIK Bank started digital transformation of the bank with implementation of the latest technological solutions with focus at the personalized communication with its clients. “Today’s consumers expect services anytime, anywhere, regardless of the mode of communication. IBanking solution enables banks to meet these expectations and to achieve long lasting relationship with their clients. With Omni-channel Solution developed by NF Innova, AIK Bank is ready to respond to the demanding customer requirements, by offering personalized products and services through the desired digital channel. “ Aleksander Lenov, Marketing Specialist, NF Innova.